Just don't stare into it. I'm told that in space, no one can hear you scream, which is probably for the best given the latest update coming to No Man's Sky. Ever since the "Next" update arrived a couple months ago, Hello Games has been toiling away on weekly updates. These have generally been small and focused on fixes or improvements, but they've also featured new gameplay additions, such as the ability to adjust your avatar's body shape. While the "weekly" team has been doing their thing, though, another subset of Hello Games has been preparing "The Abyss", a free update coming next week that focuses on "the eerier elements of No Man's Sky". Not a great deal is known yet about "The Abyss", but it'll almost certainly be accessible via the game's four player online co-op. 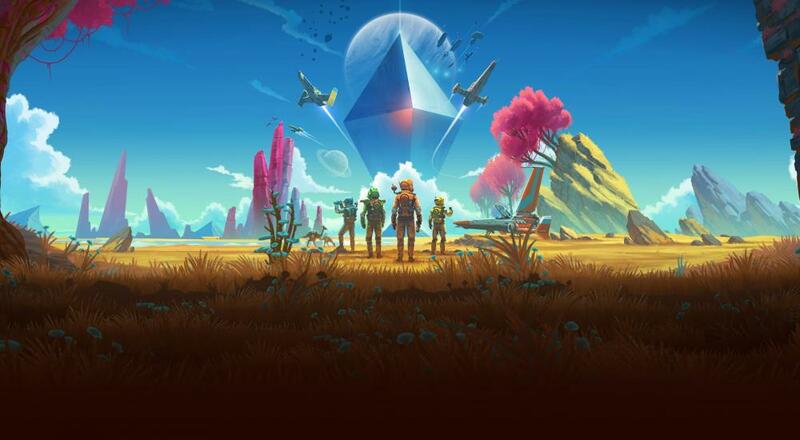 No Man's Sky didn't launch with cooperative play, of course, but the "Next" update introduced the feature back in July. If you're interested in getting spooked out of your spacesuit with a few friends, the game is available on PlayStation 4, PC, and Xbox One. Despite its rocky start, No Man's Sky is in a much better state these days and very much worth checking out. Page created in 0.8232 seconds.